Holding back mountains of earth or creating a small raised garden bed and looking good all the while is what retaining walls were born to do. 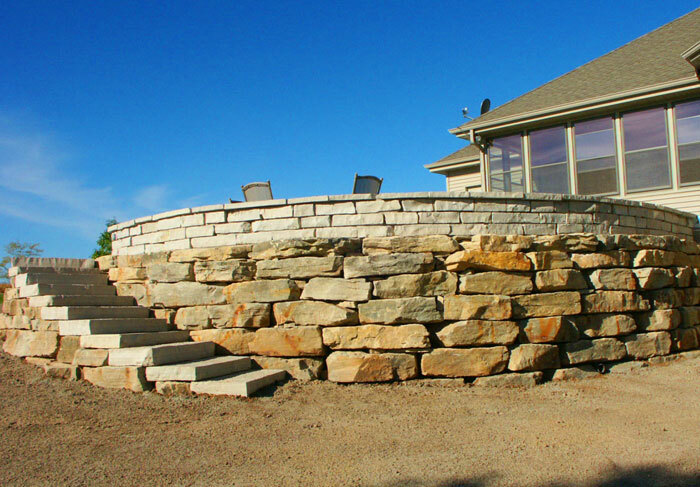 Our professionals are seasoned installers of segmental retaining walls (like those made by Unilock, Belgard and County Materials), fieldstone boulders and split-faced limestone. We also install wood timber retaining walls, if that’s what your project needs. 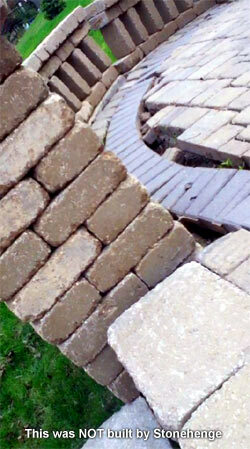 No matter the height of the wall or the materials being used, we can build a retaining wall that will resist the forces of time and nature for years to come. But every company you could call in the Fox Cities will tell you the same thing, so what makes Stonehenge different? Knowledge. Stonehenge is the only company in the Fox Cities to ever have launched a discussion forum website to help raise the standards of landscape contractors across the nation and even the world (that’s right, we said world) when it comes to hardscapes and softscapes. 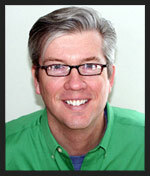 GroundTradesXchange.com has been serving as a beacon of knowledge and an industry bar-raiser since 2003, helping teach more novice contractors (or more senior contractors who should know better) how to build retaining walls among many other things. Experience. Drawing on a technical education and nearly 30 years of field experience, company owner Jeff Pozniak shepherds every Stonehenge project from beginning to completion using the most current techniques, tools and materials. Why does all of that matter? Take a look at the project to the right. It was built roughly 18 months before this picture was taken. And it was built right here in the Fox Cities. It was NOT built by Stonehenge, but we were called to visit the site and offer professional opinion as to the nature of the multiple, catastrophic failures of this project. When it comes to complex earth retention projects, there are three things that matter: knowledge, experience and licensed engineers. Too many contractors in this area happily break ground on earth retention projects not even realizing when they’ve moved beyond the scope of non-engineered walls and into the realm of engineered ones, which require an engineer’s oversight. That lack of knowledge has resulted in the loss of tens of thousands of dollars on this project alone. The walls we build are pretty, but your contractor needs to know when the wall you’re asking to have built also needs to be structurally engineered. The staff at Stonehenge know, and bring in licensed engineers when your retaining wall project is bigger than what un-reinforced retaining walls can handle.